The US Department of the Treasury will investigate whether the sale of stock in Russian oil giant Rosneft might violate sanctions against Moscow, White House spokesman Josh Earnest said Thursday. 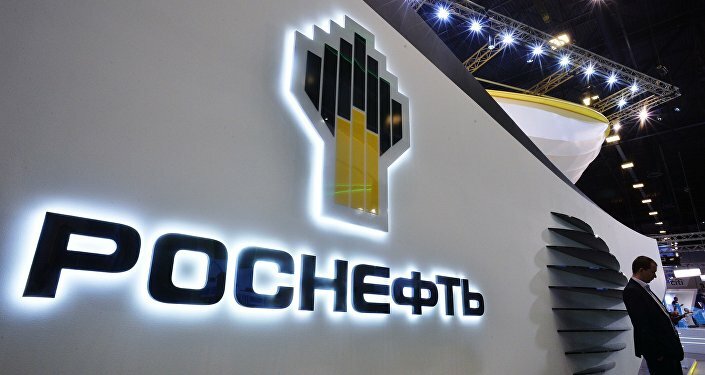 WASHINGTON (Sputnik) – On Wednesday, Swiss commodities-trading firm Glencore announced a plan with Qatar’s Investment Authority to acquire a 19.5 percent stake in Rosneft. President Vladimir Putin described the $11 billion deal as the biggest in energy markets this year but stressed that the Russian government will retain its controlling stake in the company. "The thing I can confirm for you is that the experts at the Treasury that are responsible for constructing and enforcing the sanctions regime will carefully look at a transaction like this," Earnest told reporters. "They’ll look at the terms of the deal and evaluate what impact sanctions would have on it." In October, the CEO of India’s Essar Oil, Prashant Ruia, said Rosneft’s $13 billion takeover of his company had been structured to comply with sanctions imposed by the United States and the European Union. The US-EU sanctions were imposed against Rosneft and other Russian companies in 2014 over Moscow’s alleged involvement in the crisis in eastern Ukraine. Russia has repeatedly denied any interference in Ukraine’s internal affairs.